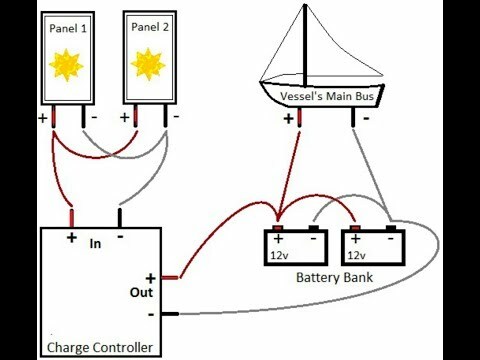 Q: My sailboat has two new 4D batteries, a 70 Ah starting battery and a Xantrex battery monitor. After I replaced the batteries I reset the Xantrex. Everything is working fine but over the last few months the battery monitor has slowly gone from the normal 100 percent to 99 percent. Jeff suggested I check the link shunt for proper installation and it appears to be OK (all connections are downstream of the shunt). Any suggestions as to why the battery monitor is indicating less than fully charged batteries? A: The other problem might be the type of wiring used to measure the voltage across the shunt. Since the voltage differential is so tiny, it’s important to have a twisted shielded cable between and battery monitor. Furthermore, make sure none of the twisted shielded cable is running along AC lines or large DC lines as well. You could test this by running a good shielded twisted pair not permanently run and see if you still have the problem. Otherwise, you might be looking at a bad battery monitor. Q: I just purchased a 24-feet Skagit Orca and I would like to replace the current battery charger. 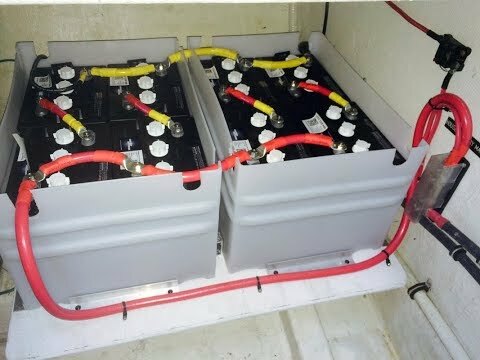 The previous owner said the charger on the boat boiled the previous batteries so he replaced the batteries and hasn’t used the charger since. Could you recommend a suitable charger for my boat? The current charger is a 1996 procharger 2610. I have two 12-volt lead/acid batteries and the current charger is set up for shore power. I trailer my boat so I will plug it into my shop to charge the batteries before I make the next trip. I usually get out once or twice a month and I may overnight for a few days. In the future I might upgrade to AGM batteries. 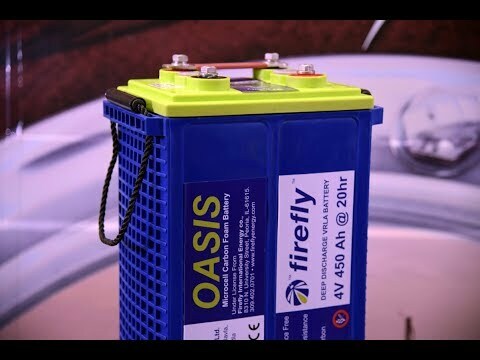 Assuming you have an engine and house battery bank or two equally sized batteries, you basically have two choices: either a 20-amp or 40-amp multiple output smart charger. If your house bank is 200 Ah or more I’d suggest going with a 40-amp model. As a rule of thumb when sizing chargers, choose the charge rate based on the battery size. For flooded batteries a conservative charge-rate should be between 10 to 20 percent of the battery capacity. For AGM and gel batteries, you can go between 10 to 35 percent. Over the last year, we have had great success with ProMariner Charger, which will charge both flooded and AGM batteries. 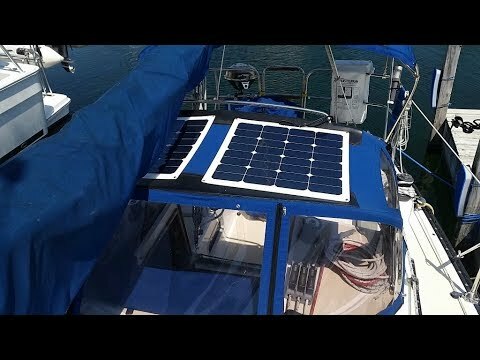 Q: I have two 40-watt solar panels connected to my house batteries and I am wondering if after being at anchor for a spell then running to the next stopover if the alternator regulator would see the high voltage input from the solar cells and not charge, even though the batteries may only be say 70 percent full? Also, each panel came with its own in-line controller and I twinned the pairs together after the controllers to connect to battery lugs, is that the proper method? A: Without knowing the battery size we cannot answer this question definitively, but I seriously doubt that an 80-watt solar panel could fulfill the bulk charging rate for any reasonable battery bank. Therefore the problem lies with the alternator and regulator, not the solar panels charging at the same time. It is ideal to have one maximum power point tracking monitor (MPPT) per panel or at least an MPPT that can handle the total wattage of two panels put in parallel. 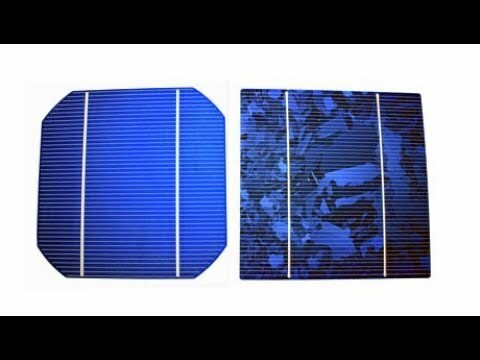 Unless both panels always experience the exact shading, I’d suggest getting an MPPT per panel, that way you'll get the most efficient charging all the time. Q: Is it necessary that I charge my batteries to 100 percent each time I run the charger or is 70 percent or 80 percent good enough? I know that if I stop before full charge, I will have to charge sooner. I am concerned that if I start not charging them completely, over time I will damage my batteries. A: The following advice applies to lead acid batteries, such as flooded, AGM, and gel. While cruising it is totally fine to stop charging before 100 percent. Remember that lead acid batteries follow the bulk, absorption, and float charge curve. 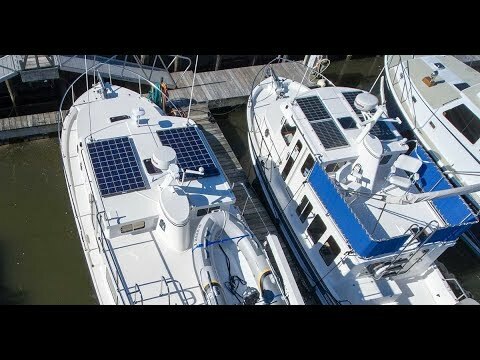 In order to maximize the efficiency of your charging while off the docks I advise boaters to stay within the bulk charge. Once the absorption stage is reached the charge rate drops. Therefore don't bother to charge past 80 to 85 percent unless you have AC shorepower or are underway and going somewhere. 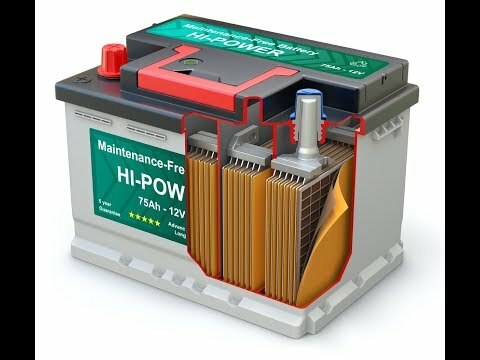 As a reminder, flooded batteries should rarely be discharged below 50 percent of capacity and AGM/gel batteries no more the 30 percent of capacity.